ɪ ᴄᴀɴ (ᴛʀʏ ᴛᴏ) ʀᴘ ᴏɴ ʀᴇQᴜᴇꜱᴛ! ɪ'ʟʟ ʟɪᴋᴇʟʏ ʙᴇ ᴄʜᴇᴄᴋɪɴɢ ᴍʏ ɴᴏᴛɪꜰꜱ ᴀɴᴅ ʀᴇᴘʟʏɪɴɢ ᴛᴏ ᴛʜɪɴɢꜱ ᴅᴜʀɪɴɢ ᴍʏ ꜱᴄʜᴏᴏʟ ʜᴏᴜʀꜱ. ɪ ᴛᴀᴋᴇ ᴛʜᴇ ʀᴏʟᴇ ᴏꜰ ꜰʟᴏᴡᴇʏ ɪɴ ꜱᴄʀᴀᴛᴄʜᴇʀᴛᴀʟᴇ (ꜰʀᴏᴍ @sansofurnightmares)! I have no idea anymore.. what have I done ._. 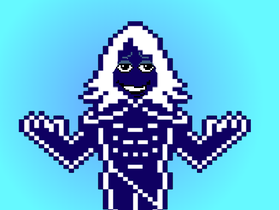 Any AU related to Undertale MEMES!!! THERE IS A SCARLET FEVER BREAKOUT AT MAH SCHOOL IRL.